Now that Deadpool 2 has hit theaters, many are already looking forward to the home video release, especially since director David Leitch has already confirmed there will be an extended cut. During a new interview for the sequel, the filmmaker also confirmed there will be about 20 minutes of deleted scenes for fans to pore over when this superhero sequel debuts on Blu-ray, DVD and digital formats. Here's what the director had to say about the deleted scenes below. "This is just ballpark, but I'd say there's an additional 20 minutes of stuff. I am actually putting it together now. We're taking sort of it slow. There's a lot of alts we want to play with. I want to get Ryan in there so we're making sure we're all on the same page of like the comedy we want to do and the narrative. There are some great scenes in there that have been just lifted and it would be fun to be back in." The director also clarified that his first cut for the studio, his director's cut, was between two hours and 12 minutes and two hours and 15 minutes. He added that they "trimmed it down for another pass" and it was just around two hours long, with the official runtime at one hour and 59 minutes. Some fans were rather surprised to learn that the Black Tom Cassidy character, played by Jack Kesy, had a much smaller role than most believed, with Leitch revealing he had a much bigger part early on, but his role was drastically cut during the script stage. "What happened with the Black Tom character, and I don't want to give spoilers away, but the movie early on, this is during the script phase, started to take a turn for what it was really about. And so, as we were tightening up the story, tightening up the script, Black Tom was an element, but there was a bigger storyline that we were trying to hit home. That story just got trimmed down but there wasn't any photography in that respect." Unfortunately, David Leitch didn't reveal any further details about what deleted scenes might be featured on the home video version of Deadpool 2. He also revealed that there wasn't too much debate about which X-Force characters to involve, adding that they wanted characters with specific powers they could "play with." He also spoke about Peter (Rob Delaney), the average Joe who joins the X-Force despite having no super powers whatsoever. 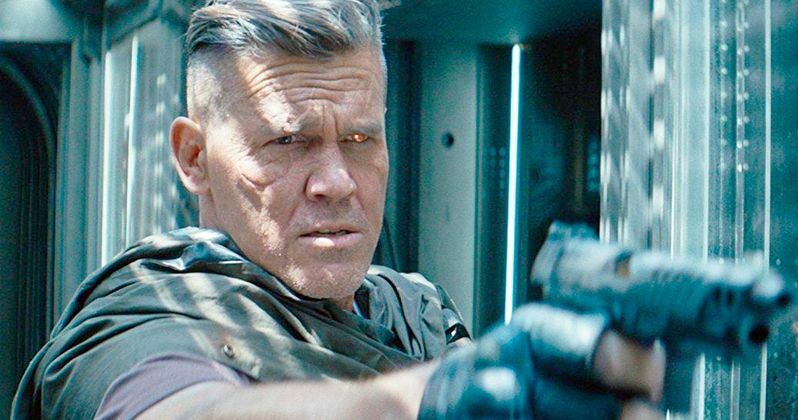 Leitch revealed that he knew this character would be a huge hit when he first read the scene that writers Rhett Reese, Paul Wernick and Ryan Reynolds wrote, adding that he was "on the floor laughing" at that point. Leitch also described Peter as the "everyman," adding that "who wouldn't want to be standing in that room, auditioning for X-Force." Take a look at David Leitch's full interview below, courtesy of Collider.